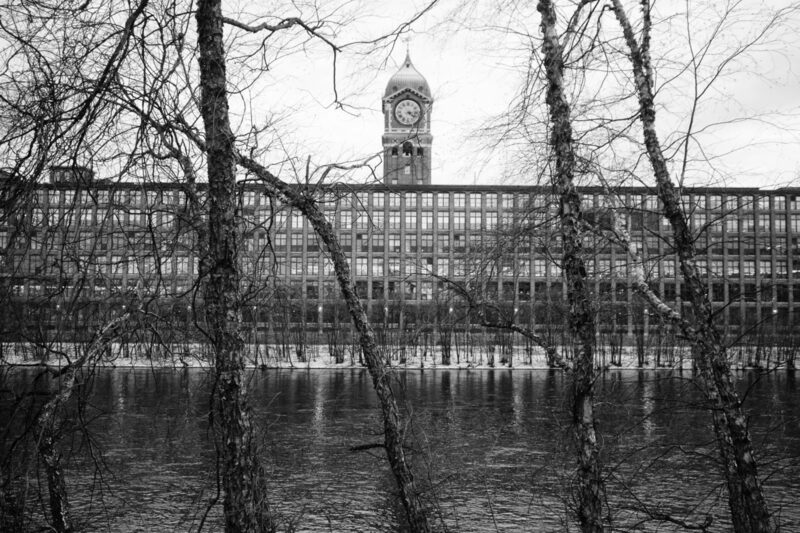 It is unusual to find a new, accessible vantage point to photograph the Ayer Mill Clock Tower, but recent renovation work at one of the old mills opened up a path to the shore. It also looks like it will be fenced in again soon. Undoubtedly, you will see quite a few shots of the clock tower. It is, as the title says, a muse. It just begs to be photographed. I will be returning to this spot until it is again completely fenced in and inaccessible. Although, that still might not stop me!